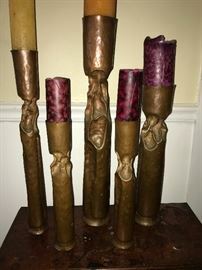 Collection of five Thomas Roy Markusen "Brutalist" copper candleholders, mid 20th century. 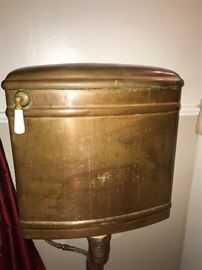 Antique wall-mount copper toilet tank with porcelain handle. Antique English country pine cupboard, mortis and tenon construction--18th century or late 17th century. Antique English country pine cupboard, mortis and tenon construction--19th century or late 18th century. 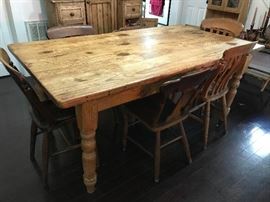 Large antique English country pine dining table with mismatched chairs. 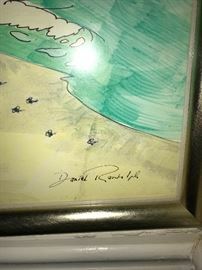 Beachy watercolor signed Daniel Randolph. 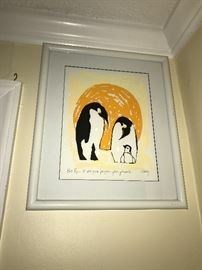 Framed penguin, signed by artist. 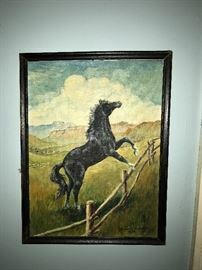 Horse painting on canvas, signed "Frances Hickman, 1959". Set of five unique folk art dolls. Antique wood and metal bird cage. Huge collection of copper home decor, utensils, serving pieces and kitchenware. Antique folk art painted chair. 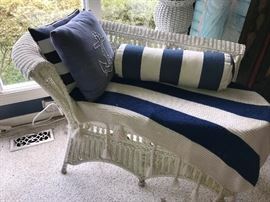 Assorted decor with nautical theme. Assorted outdoor furniture--square table with umbrella and 4 chairs. Assorted art, many original and signed. 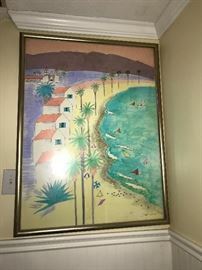 Gorgeous art tile by Topanga Tiles, Topanga, CA. Topanga Art Tile identification on back. 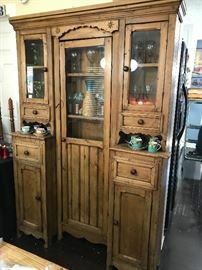 Antique English country pine cabinet. Assorted antique frames and photos. Antique Southwestern Native American basket. Antique country oak table with green painted legs and base, natural top. 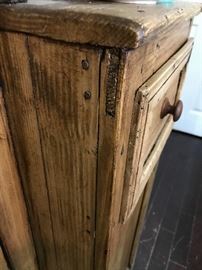 Has lots of character--deep burn mark and carved names. 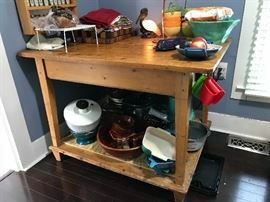 Lots and lots of smalls--pottery, glass, wood.